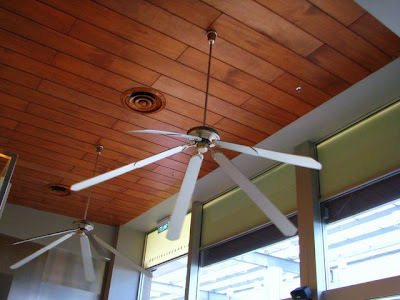 Ceiling fans are an efficient choice to cool your home, and a great way to maximize the energy efficiency. 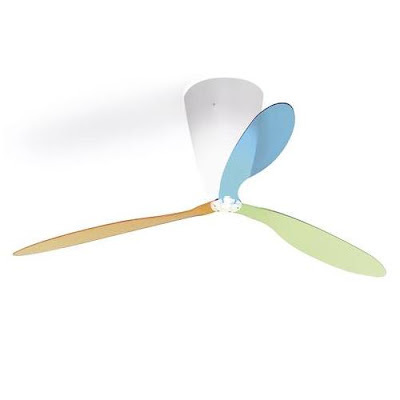 They use much lesser electricity in comparison to the air-conditioning units, leading to cost savings! 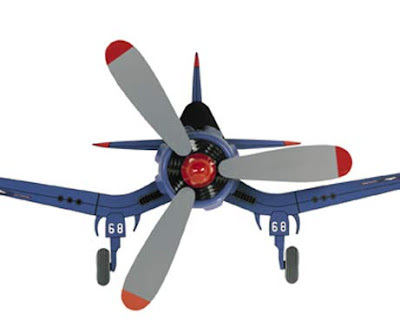 This unique shaped blades move air just like any other traditional blade design fan. 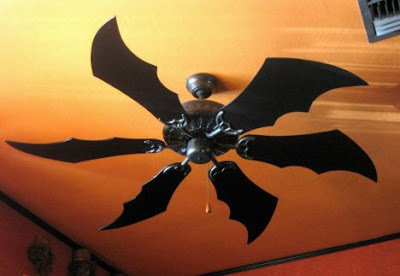 Its an authenticated replica, a unique ceiling fan. 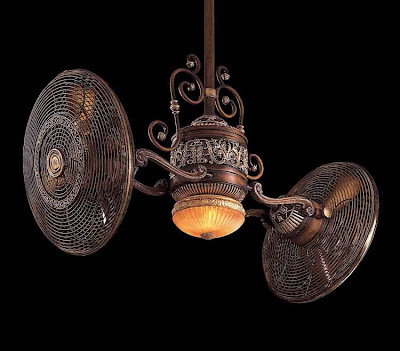 Unusual yet functional, belt-drive fan. 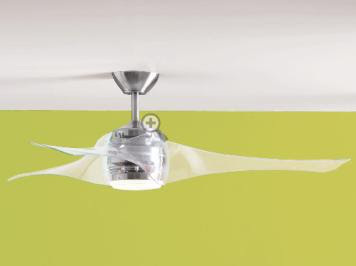 It's an advanced ceiling fan with a unique form that transforms once you switch off (fan blades automatically retract). 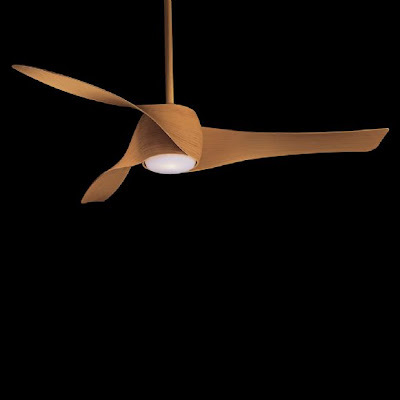 The Artemis translucent ceiling fan is a "contemporary modern ceiling fan and light has cool curves that look fantastic and create excellent circulation". 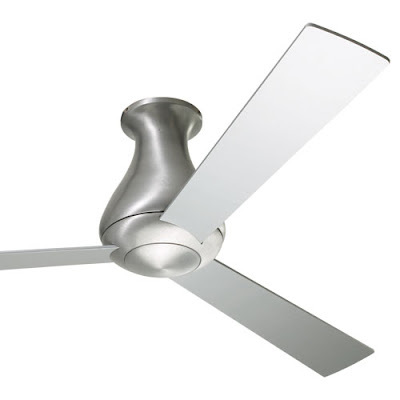 The site offers numerous unique ceiling fans and ceiling fan accessories from more than a dozen popular ceiling fan manufacturers. 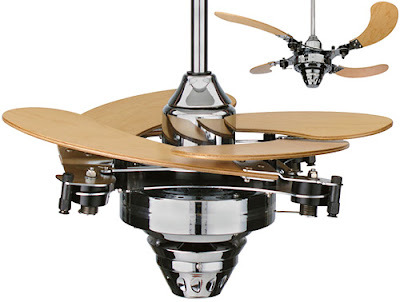 "Designer Ron Rezek has combined mechanical simplification, geometric forms, and contemporary finishes in a collection of ceiling fans that are very unique." 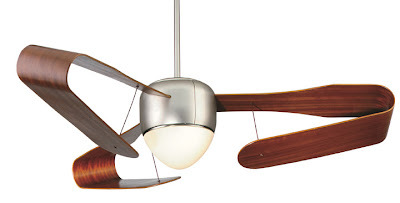 Fan with the light above its blades, designed by Ferdi Giardini. 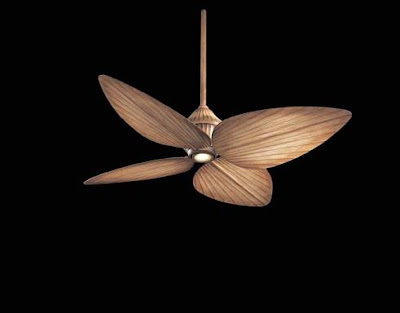 With its palm-frond blades it looks just elegant. No info is available about its make, it comes from Lavender Cake & Bistro, Jusco Permas Jaya, Johor Bahru. 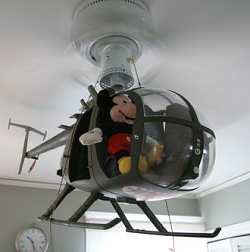 "It turns slow and windless, just for decoration purpose."